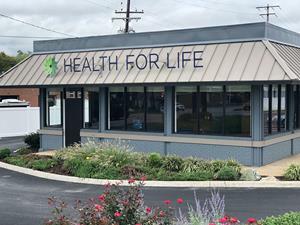 TORONTO, Oct. 12, 2018 (GLOBE NEWSWIRE) -- MPX Bioceutical Corporation (“MPX” or the “Company”) (CSE: MPX; OTC: MPXEF) today announced that it opened its new Health for Life dispensary in Baltimore, Maryland which is located at 6807 Rolling Mill Rd Baltimore, Maryland 21224. The dispensay is operated by MPX’s indirect wholly-owned subsidiary, S8 Management LLC, through its management agreement with GreenMart of Maryland, LLC (“GreenMart MD”), which is authorized to operate and sell medical cannabis products in Maryland. This is the Company’s second dispensary in Maryland, following the opening of its flagship Health for Life dispensary in Bethesda, in August 2018. Health for Life Baltimore is open to patients Sunday through Saturday. Operating hours can be found in the Health for Life website.